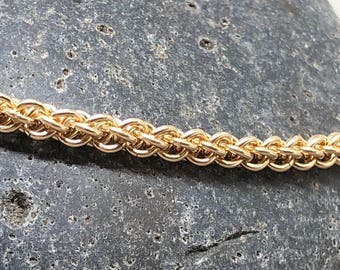 This is a made to order listing. 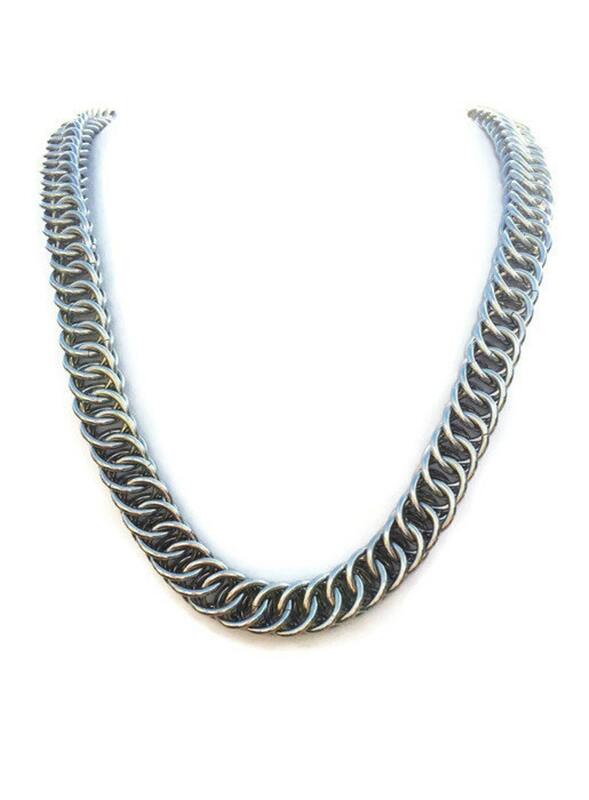 Large 16 gauge steel rings are intertwined to form this long Half Persian necklace. 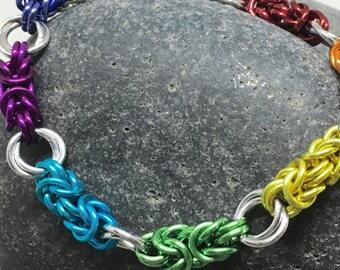 This necklace is just as comfortable with jeans and a t-shirt as it is going out on the town. Either way it is sure to make a statement! Because it is created with solid stainless steel rings, it is quite heavy but not uncomfortably so. 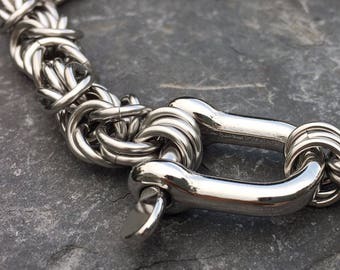 Stainless steel does not rust or tarnish and can be cleaned easily with soap and water. 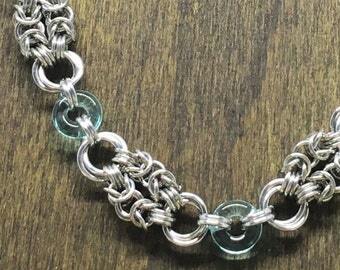 This piece is available in several sizes and is nearly 1/2 inch wide. 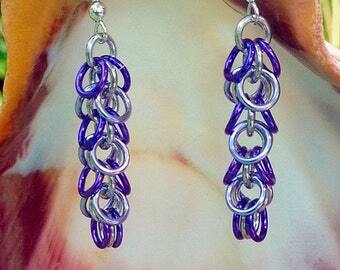 It can be finished with a variety of clasps. See last picture for examples. 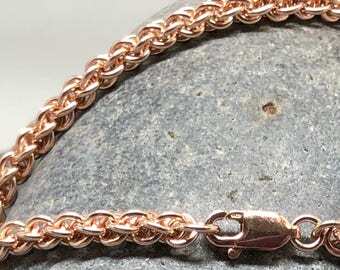 This necklace swings both ways and is great for women and men! All my rings are saw cut for a flush, seamless fit when closed. I'm a stickler for quality and I assume my customers are too. I'm happy to answer any questions, and custom create for you. 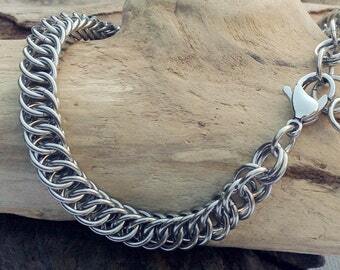 This necklace is custom made for you and will arrive in a custom tin ready for gift giving. 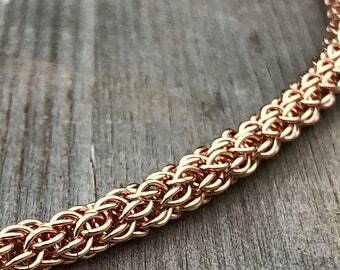 Current production time for this necklace is 4 - 6 weeks.